A quick reminder that the Karate club is now on holiday. We re-start as normal on Monday 8th August. For the first time in a good number of years the club held a ‘proper’ Summer Camp, once again in the beautiful English Lake District. 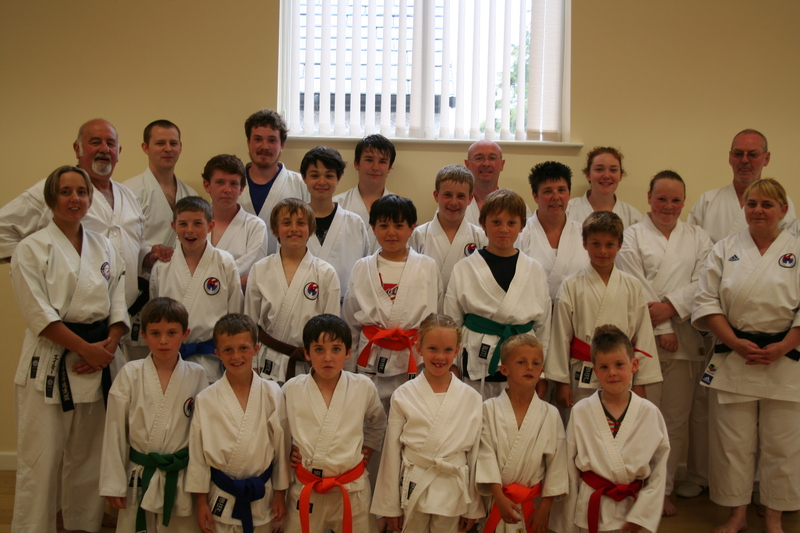 The camp was held over the weekend of 16th & 17th July 2011 with the added bonus of a Karate training course hosted by Askam Karate Club on Saturday and our Annual Sponsored Walk* on the Sunday. *The sponsored walk raises funds for our Annual Club-Only championships. The weather was truly terrible, with heavy rain storms and zero visibility on some parts of the M6 (Motorway/Highway). Despite this we still managed to get a number of our own students to the training course which was a 60 min drive from the camping site. Some of the families with younger children rather sensibly decided to head straight to the camp site. The training was a good mix of Kihon (basics), Kata (form) and Kumite (fighting) and was led primarily by the Hartlepool Wadokai instructors. It was great to see everyone trying extra hard when stood alongside someone from a different club, it made the training session even more enjoyable. Askam club treat us all to some delicious hot dogs and drinks before heading north to the camp site. On behalf of the club I’d like to thank Sensei Matt & Sensei Danny for their hospitality and hope to do it again some time soon. The rest of Saturday evening was taken up with setting tents, playing lots of football/cricket, dodging the rain storms and lots of eating, drinking and general merriment. Amy and Carl also rather sensibly scouted out the proposed walk route for Sunday. The intended route ended up being a temporary swamp due to the heavy rainfall, so Plan B was decided upon. Walk from the camp site along Ullswater Lake to Pooley Bridge, and a bit of a walk from there. We won’t talk about the fact that Plan B included a gentle walk up a hill, that promised spectacular views across Ullswater Lake. Naturally the view was blocked by overgrown trees (or we were at the wrong viewing spot), so the successful mountaineers were treated to an enthusiastic ‘high five’ by Carl instead. 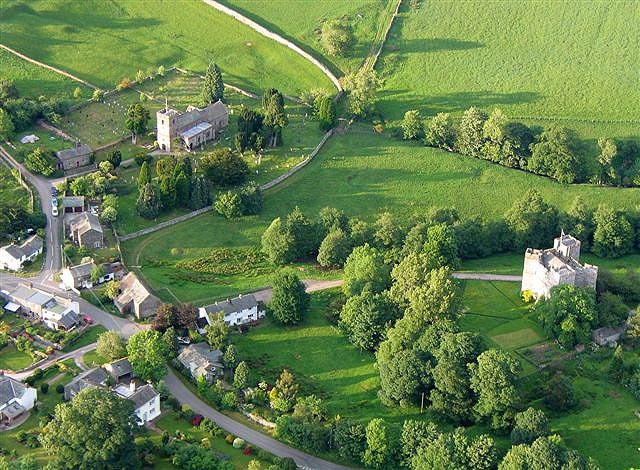 We also won’t talk about the second part of the walk which involved a pretty walk to Dacre castle, which was abandoned due to adverse weather and a particularly busy road crossing that we didn’t fancy with a bunch of kids. 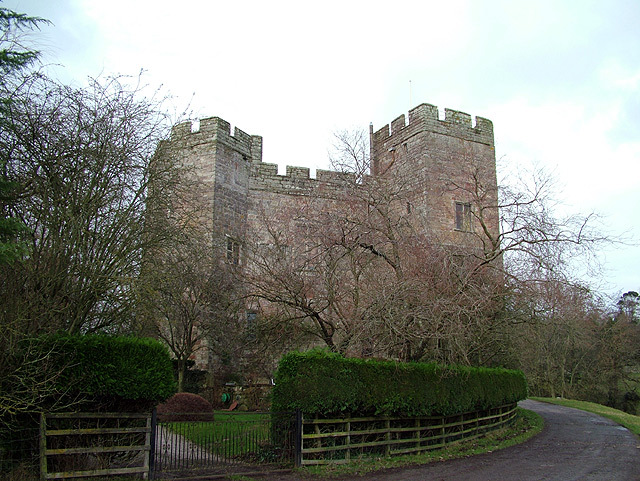 So the castle became known as the ‘mystical pink castle’… with some of the parents believing that the castle doesn’t actually exist, much like the view from the top of the hill…. I guess you really had to be there. Despite the typical British weather, the lack of views at the top of the hill, and an invisible castle everyone had a great time and even in the occasional spells of heavy rain, spirits weren’t dampened. We’ve decided to make the camping trip an annual event from next year, we’ll find that castle some day! Hartlepool Wadokai is one of the first clubs in the country to receive the ‘Quality Assured’ kitemark from the English Karate Federation. The certificate is ‘what it says on the tin’ an assurance of a good quality experience for students. It proves that all instructors are qualified to teach Karate in England and are registered with the English Karate Federation. It is also a guarantee that the club adheres to ‘best practise’ guidelines such as being fully insured, being CRB checked and perhaps most importantly – can teach Karate to a reasonable level. All in all, this certificate is the highest recommendation of Karate clubs currently available from the governing body for Karate in England. Today was the last After School club of the school year at Throston Primary School. We finished off with a recap of some key skills, some team fighting (2 vs 1; 6 vs 1) and also a belt test for some of the white belts that have trained with us for the past school year. Congratulations to Ryan, Jamie, Amber, Nadine, Lauren, Charlotte, Sarah on passing their 10th Kyu grades. Also a massive thank you to all the students (& obviously the parents) for the many thank you cards and presents. They were completely unnecessary but we appreciate it all the same. One of the quotes in the cards ‘thank you for being the highlight of my child’s week’ – we’re obviously doing something right. We were visited by Sensei Matt Graham from Askam Karate Club on Tuesday. Sensei Matt is a good friend of the club and it was a pleasure to have him attend. Some of our club instructors have been visiting Askam Karate Club over the past two years or so, working with their instructors and sharing training tips and ideas. The Karate training of the Hartlepool Wadokai Summer Camp (this coming weekend) is also kindly being hosted by Askam Karate Club.